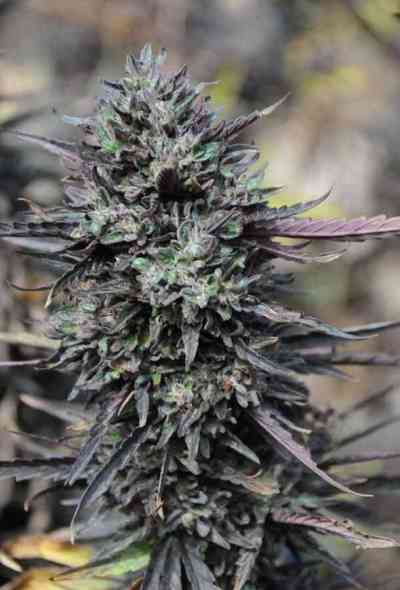 The genetics for Trainwreck marijuana seeds itself consist of Mexican, Afghani, and Thai genetics, so it is a Sativa-dominant Hybrid, which has been crossed with Mendo Purps to create the Purple Trainwreck. Purple Train Wreck has that familiar lemony Train Wreck smell and taste, with a slightly fruitier berry touch thanks to the Purps infuse. This is a beautiful plant, with intensely coloured violet buds with dark red hairs, and grows to the size of a monster if you give her all she needs to make you happy.